Constanta, the greatest harbor at the Black Sea. It is a fact well known that most of the Romanian maritime personnel lives in Constanta, here being the harbor as well as the main teaching institutions for naval and maritime domain. Thus, it was normal that the maritime medicine will be more emphasized here, in Constanta, throughout the increased interest of the medical clinics from Constanta regarding the maritime medicine and the seafarer’s medical exams, as well as through the interest shown by the foreign ship-owners in what concerns Constanta harbor and Romanian seafarers. And so, the need for development of the maritime medicine in Constanta appeared. 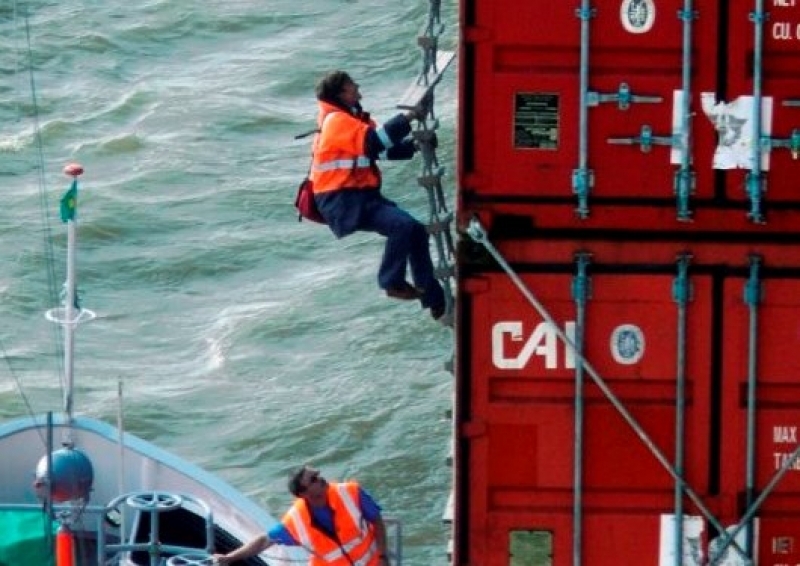 If maritime safety has seen significant development in recent years in Europe, maritime medicine has not had the same success. International fleet development and the emergence of multi-ethnic crews has increased the risks of occupational stress, work accidents, risk outbreaks, insomnia etc. Together with the advent of tele-diagnostic systems, it appears imperative, to harmonize the practice in maritime medicine. At the core of our efforts is the desire to act according to the principles of ILO (International Labor Organization) - MLC 2006 (Convention for MLC) and IMO (International Maritime Organization) - STCW 2011. We are members of IMHA (International Association of Maritime Health), an international organization of maritime medicine physicians who have decided to promote scientifically and to increase the health quality of seafarers, to achieve a common goal - maintaining safety and life at sea. Who is responsible for medical examinations? Any qualified doctor can perform medical examinations required as long as it is certified by the STCW Convention. The physician should be familiar with the details of maritime labor, as well as with the requirements imposed by it. Many companies have their own designated staff doctor. This is recommended because this doctor knows the work that takes place on board very well, having access to medical records and personal history of seafarers. According to ILO Convention 73/2126, Article 8, the employee is entitled to request a new examination in another clinic or another doctor if health certificate is not issued after the first checkup. Who is responsible for the quality of the maritime medicine examinations? There are many stakeholders in the maritime industry who are involved in maritime medicine clinics audit: ship owners, shipping management companies, crewing agencies, P & I Clubs and naval authorities. Each of these entities has its own system that is of interest for the accreditation of clinics. Quality methods, criteria, systems and qualifications of auditors varies from country to country and from shareholder to shareholder. It is therefore a pressing need for harmonization of auditing and accreditation systems. What is the IMHA Quality program? The program provides a quality assurance tool for medical facilities who conduct aptitude examinations for seafarers by setting up a system to ensure quality standards in working in clinics. These standards were developed in the absence of international standards, best practice guides or facilities for management, where aptitude examinations for seafarers are to be performed. National standards and guidelines are now variable or non-existent.